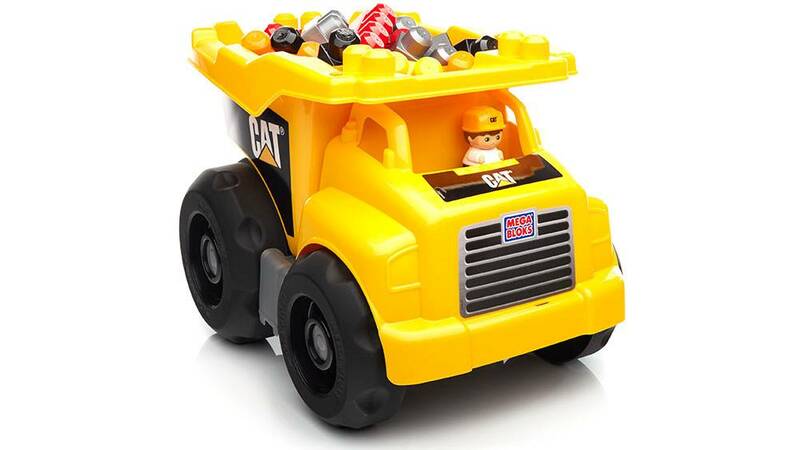 Load up for the job with a CAT® dump truck and 25 building blocks! 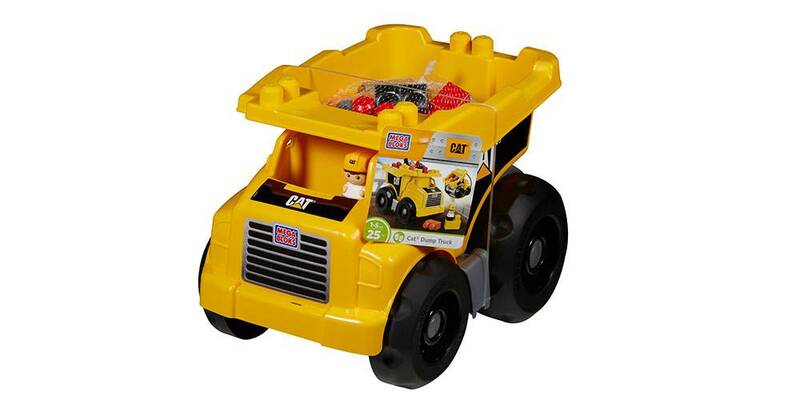 Load up and roll out with this big yellow CAT® dump truck! 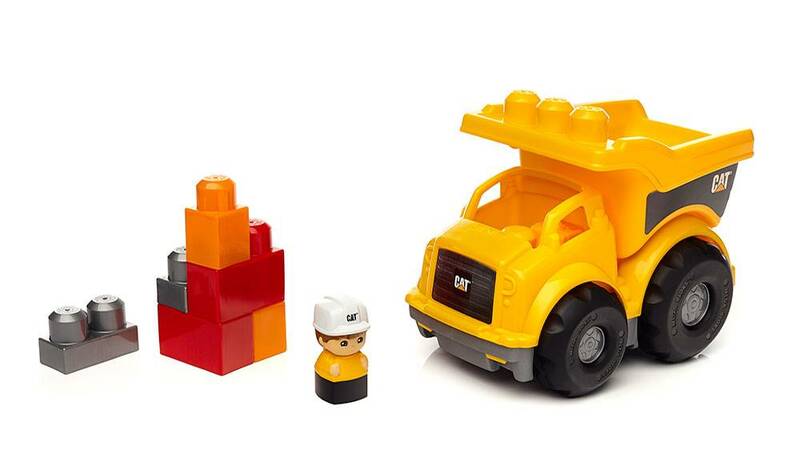 Sit your Block Buddy™ in the driver’s seat and load the included 25 big building blocks in the titling bin. 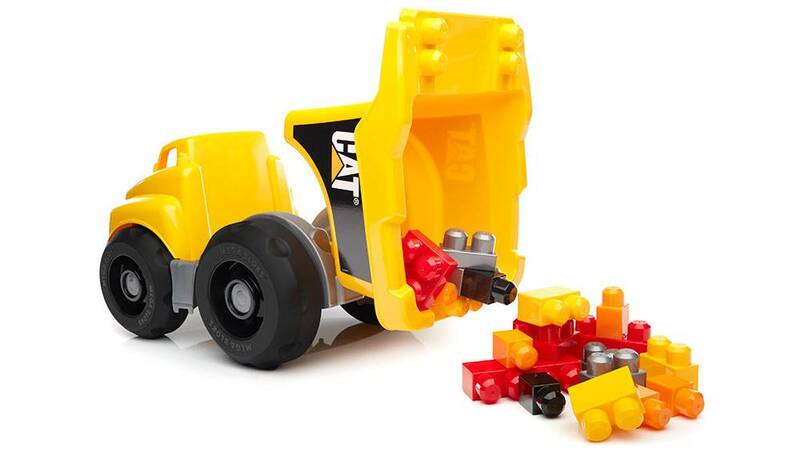 Then tip them out and use them to build right onto the truck, or create anything else you imagine. 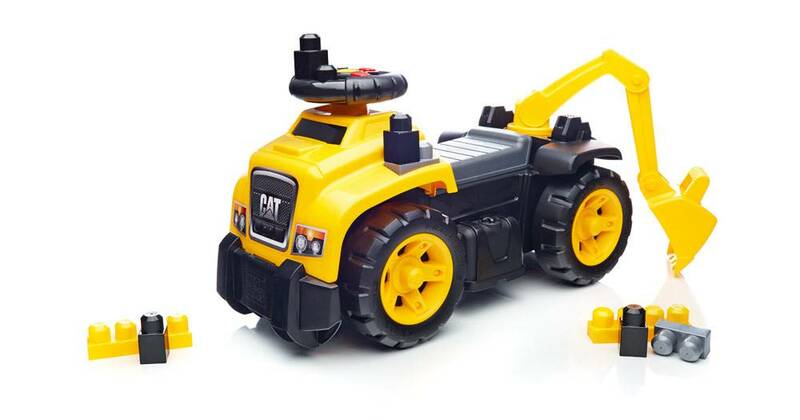 Made for little hands, the blocks and truck are easy to grip, so toddlers can build big fun on the job site! This was a Christmas gift to my 18 month old son and he loves it. I have to say that if it wasn't for the tire popping off every 5 minutes (no exaggeration) it would have been 5 stars for the review. It's very frustrating to have to fix the tire and interrupt my son's play so frequently because the toy keeps breaking. Also from what I am reading, I am not the only person with this issue. Mega Bloks needs to get on it. My son loves his truck, but just like the previous review our back wheel comes off too. 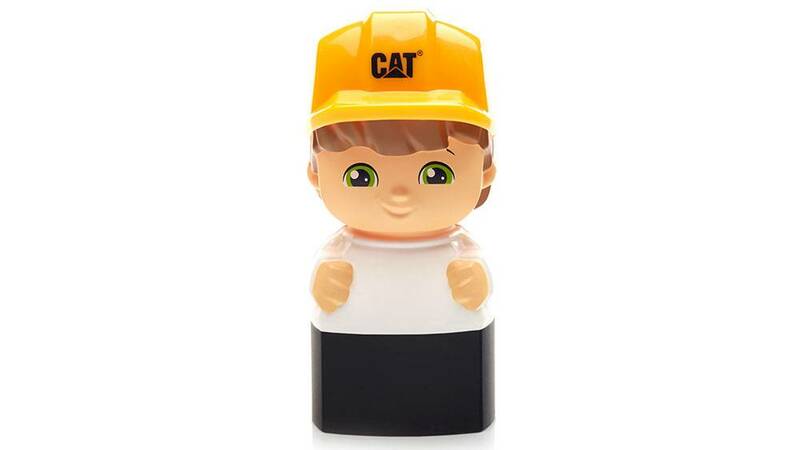 This isn't a toy that my kids play with periodically either, it's daily. So the frustration of dealing with an upset toddler every few minutes and having to stop what I'm doing to reapply the tire is very annoying. I plan to email CS here and hopefully they have a fix. 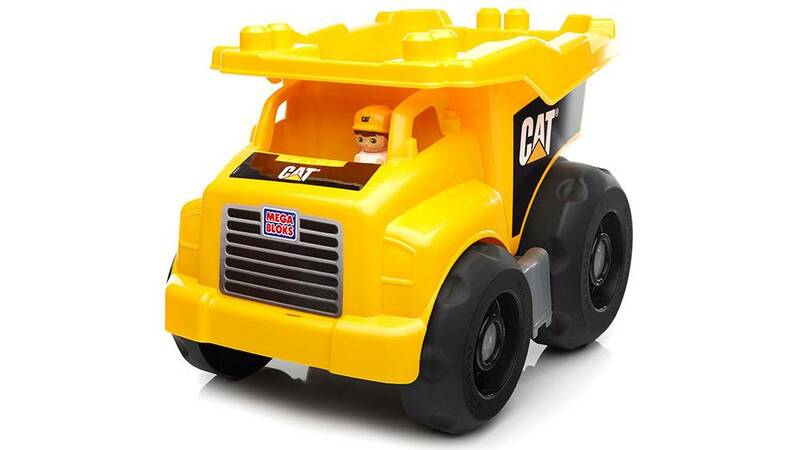 It's clearly a defect as this is our second Cat dump truck, we exchanged the first one for the same reason. 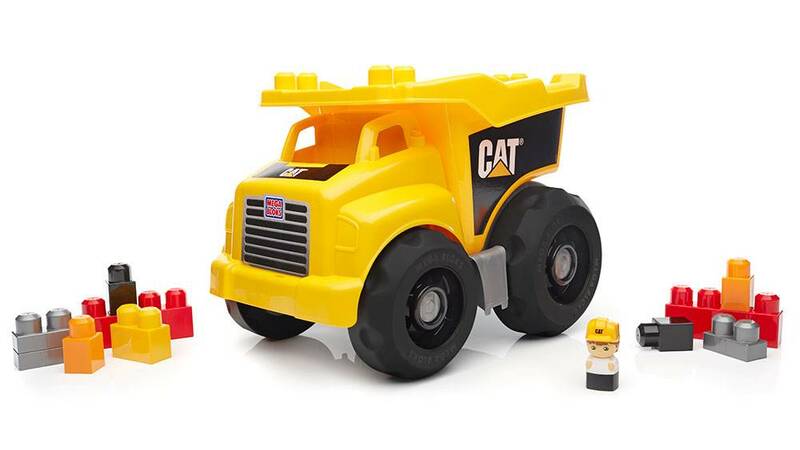 My 3 year son absolutely loves this truck except the fact that one of the back wheels pops off all the time. I put it back on and he keeps playing and the cycle continues. Other than the tire coming off, he loves pushing it around, putting a bunch of toys in the back, and stacking blocks on it. It's very big which is the best part, what kid doesn't love a large truck!? Great product just needs a little improvement for more enjoyment. After reading reviews on amazon....the tire issue has happened to multiple people.